The Dirty Robot is a unique synthesizer emulation pedal for guitar and bass. 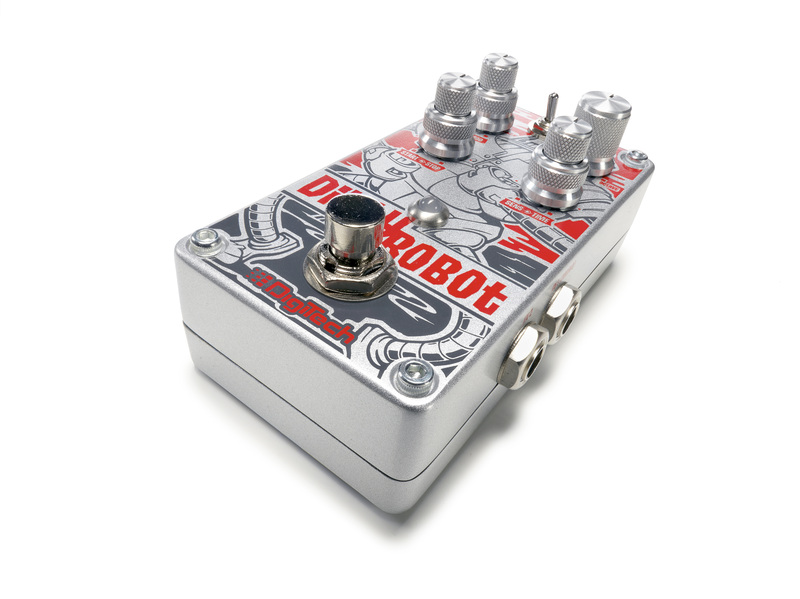 Two different synth voices are at your disposal for creating wild sound textures using a standard guitar or bass without the need for any special pickup. V1 gives you warm analog synthesis with subtle to extreme envelope sweeps just like classic synths from the '70's and '80's. 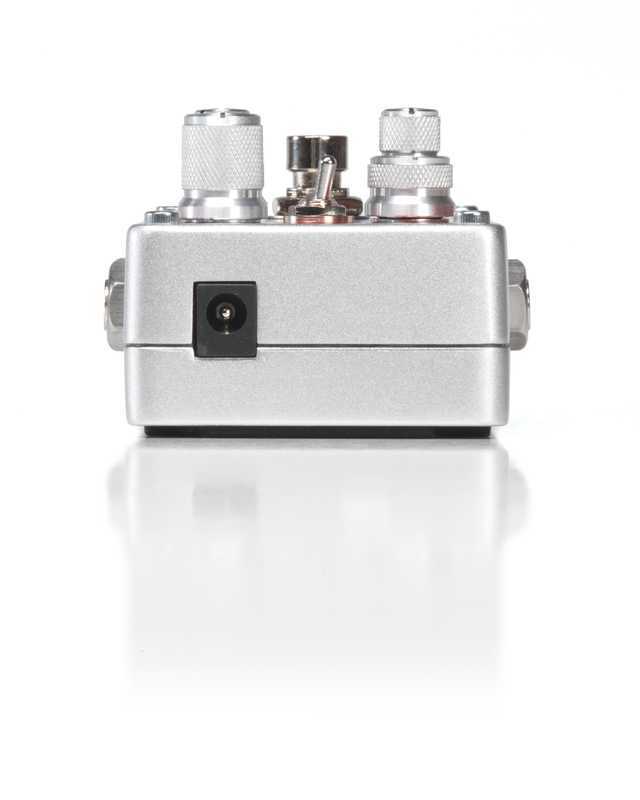 V2 provides a vocal formant synthesis effect that can be used for vocoder emulation or talk box style effects. 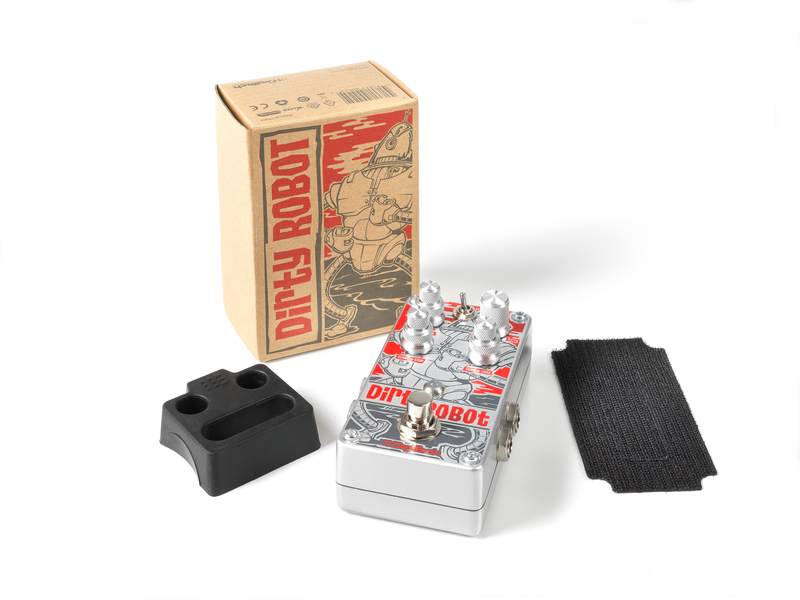 Using the Dirty Robot’s exclusive 360 degrees Drift knob, you can blend Square Wave with Octave, and Sub synthesis soundscapes. 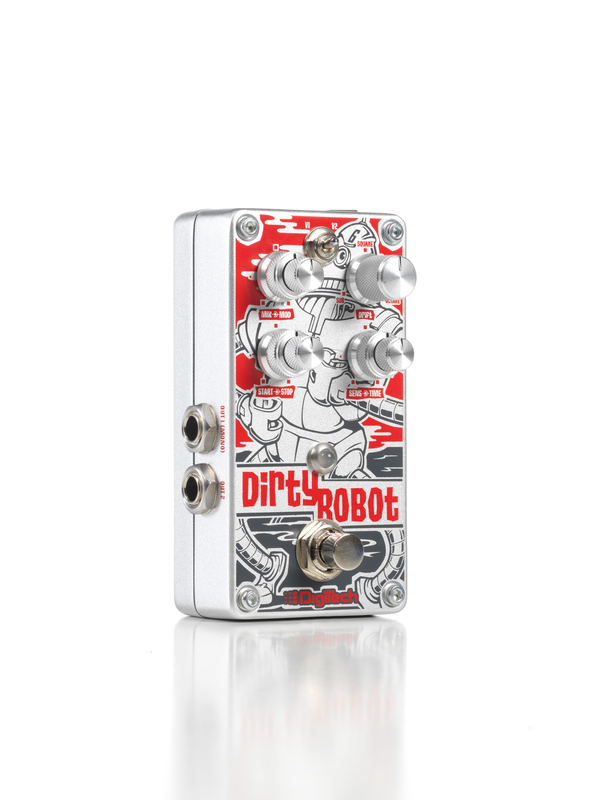 The built-in chorus and vibrato effects give Dirty Robot unparalleled versatility and make having one the next best thing to putting an actual guitar synth on your pedalboard. 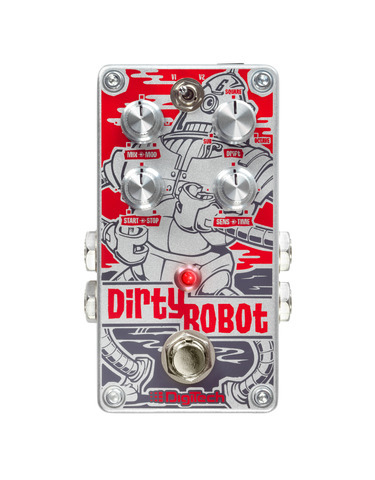 The Dirty Robot’s effects are complimented by stereo ¼” inputs and outputs for routing flexibility, constant high voltage rails, a bi-color status LED indicator and true bypass circuitry. 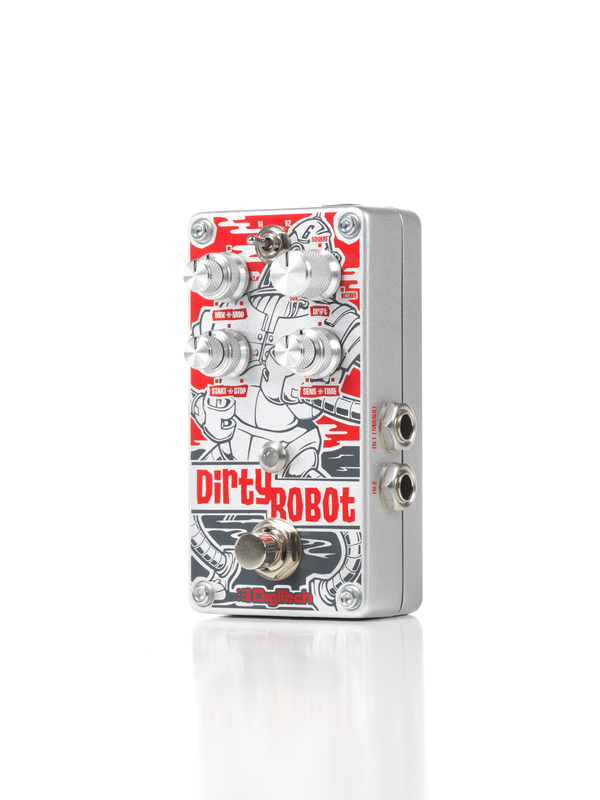 With its compact size, vacuum-style footswitch and striking graphics the Dirty Robot furthers DigiTech’s evolution in pedal design. 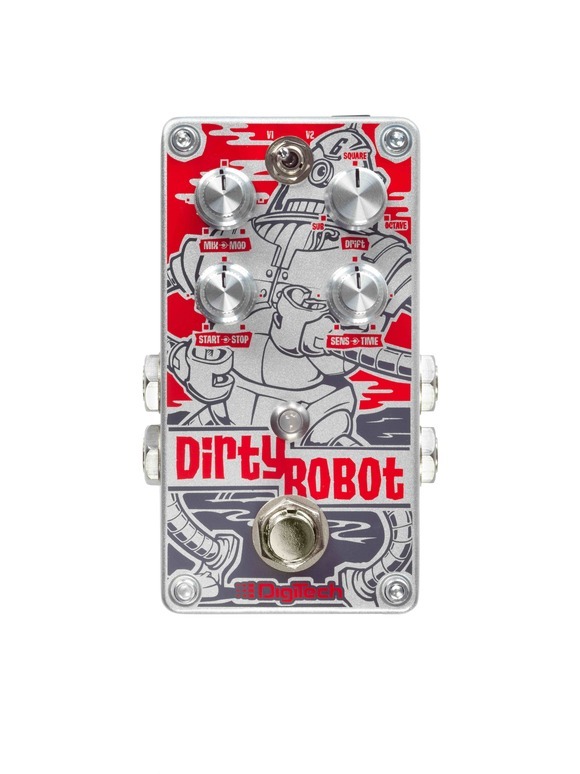 The Dirty Robot uses a 9VDC power supply to easily integrate into your existing pedalboard. Also available from worldwide distributors.